Between rodent roadkill and damaged crops, the signs of Maine's squirrel population surge are well-documented. Now some are wondering if there is a rise in the rat population, too. 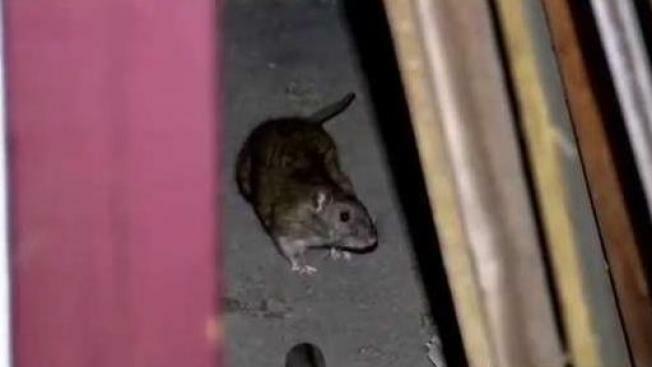 "Folks are noticing more rats in town," said Belfast City Manager Joe Slocum during a recent council meeting. "Over the last month, we have had three phone calls from completely different parts of Belfast." Pest control specialists say it's not just Maine's midcoast: there's an increase in rat reports all over the state. "The last four years, the activity has been on the rise," said Chance Strandell, Residential Service Manager for Brewer-based Maine Pest Solutions. "This year, we've been substantially more busy with rodent calls than ever before." Strandell said this is the time of year people really start to notice rodents. With cooler temperatures, pests may be drawn to burrow inside homes and businesses. While there's anecdotal evidence that Maine rats are on the rise, scientists can't definitively say the population is surging. "With no quantifiable studies, it's hard to say there's much of a change going on," said Maine Audubon Naturalist Doug Hitchcox. He said there's no doubt an abundance of acorns helped Maine's squirrel population increase, and rats could be benefiting from the extra nuts, too. "Rats have an amazingly diverse diet so anything that's in abundance, they'll take advantage of," he said. Strandell theorizes milder winters have lengthened the breeding season for rodents, but says it's still a "mystery why the rodent population as a whole has taken off." Anyone concerned about a rat problem should try to maintain sanitary conditions. The Maine Audubon recommends using simple snap traps to control the rat population.